A man involved in a “mob-handed racist attack” on a cyclist has been jailed. 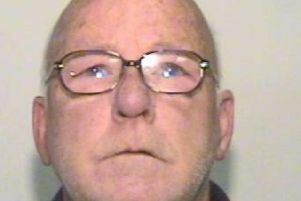 Jailing Liam Mountford for 28 months, a judge told him it was “claptrap” that his comments to the victim during the attack in Wigan had not been racist as he had friends in ethnic communities. The car then had to stop at traffic lights and Mr Azeez tried to get past, but the passenger door was opened, causing him to lose his balance and he had to stop where he was, said Kevin Slack, prosecuting. Mountford, 30, and his two passengers got out and one threw a can of beer over the victim’s face and T-shirt and used foul and racist language. Mr Azeez attempted to run away but Mountford grabbed his T-shirt and began punching him to the body. All three attacked him while he tried to defend himself but he ended up on the ground being kicked by them all and again racially abused. Motorist Susan Klein, who witnessed the attack, bravely got out of her car and shouted them to stop. Two did but Mountford continued the assault, said Mr Slack. When the victim began to get the better of him his two companions again joined in despite Miss Klein telling them to leave him alone. She and another passer-by managed to pull Mr Azeez away and the trio drove off. Fortunately a passer-by took a photograph of the driver and Miss Klein followed their car and noted the registration number. Police and paramedics were called and the victim was found to have a swollen face, a graze to his nose and arm and his T-shirt was ripped. It turned out that Mountford had borrowed the car owner’s vehicle without consent, he was arrested and found to match the photo taken at the scene. Mountford, of Glebe Street, Leigh, admitted racially aggravated assault and driving without insurance or licence. He has previous convictions including violence. Defending, Tom Watson said he had not started it and was angry with the car’s other occupant. Recorder Shaw said that the defendant and his companions, who have not been identified, had picked on the sensitive parts of their victim’s body, including his kidneys. He commended the courage of the witnesses who helped bring the defendant to justice. Mountford was also banned from driving for 26 months.